Receiving dental implants is an invasive procedure that requires attentive care in order to be performed properly. Champagne Smiles dentists are dedicated to their NJ dental implant patients, and offer personalized care throughout the process. They regularly meet with their patients after the procedure to ensure they are experiencing healthy recovery and achieving the results they desire. One of the biggest complaints among conventional denture wearers is that they are uncomfortable and can come loose at times. With dental implants, the tooth restoration is securely affixed to the top of the dental implant. This gives patients peace of mind that their restoration will stay put and not cause irritation. In addition, missing teeth can lead to pain and discomfort while speaking, smiling, chewing and drinking. Dental implants eliminate these concerns because they look, feel and work just like natural teeth. Dental implants help restore the structures of the mouth and promote positive oral health. By replacing missing teeth, dental implants can help reduce the risk of infection, promote the health of any remaining teeth, and prevent changes to the jawline and facial structure. Dental implants can be used to replace any number of teeth. In addition, patients who receive dental implants can choose dental crowns, fixed dental bridges or implant-supported dentures to replace their teeth, depending on their specific needs. Dental implants look and feel just like the natural teeth, so no one will be able to tell that you have dental implants. This is important for patients who have previously felt embarrassed or uncomfortable due to the appearance of their smile. Dental implants look, feel and function like normal, healthy teeth. They make eating, speaking and smiling easier and more natural. Because the implant post keeps the underlying jawbone stimulated, it prevents bone loss (from lack of use). 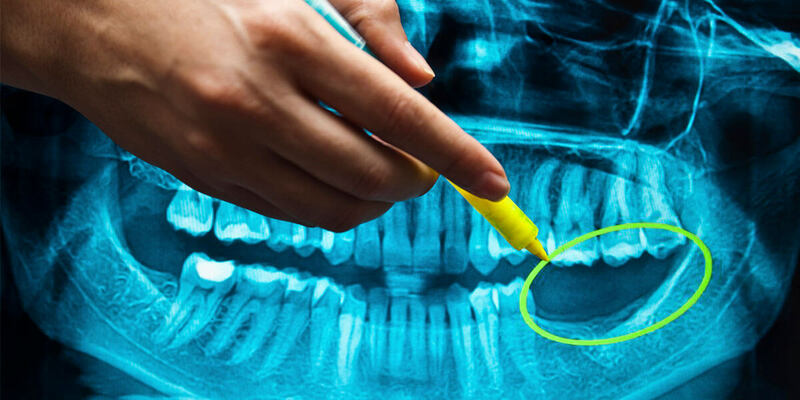 By filling the gap left by a normal tooth, implants prevent the rest of the teeth from moving around in the mouth and causing problems with alignment and proper bite. Implants also reduce the risk of periodontal disease, which can build up in gaps left by missing teeth. Implants are very easy to brush, floss and maintain. It’s important to note that because dental implants are artificial teeth, dental implant patients are not vulnerable to cavities, but may experience periodontal disease if they have poor dental hygiene. When properly cared for, dental implants can last upwards of 40 years. Though dental implants are the most advanced restoration treatment, they are not for everyone. You may be a candidate for dental implants if you are missing teeth, are in good general health, and do not smoke, as smoking greatly increases your chances for infection and failed implantation. It is also important that you have enough bone structure to support the placement of the dental implant. Many patients who have lost teeth due to periodontal disease and other infections may have deteriorated or insufficient bone structure. During an exam, Dr. Champagne will evaluate the bone to determine whether you will be able to sustain implants. For patients who do not have enough bone support, Dr. Champagne may suggest mini dental implants, which do not require as much bone. In other instances, a bone grafting procedure may be performed in order to build bone structure prior to placement of the implants. These options can be discussed with Dr. Champagne during your consultation. The dental implants procedure takes place over several appointments to Dr. Champagne’s practice. During the first appointment, Dr. Champagne uses computer-guided technology to determine the best location for the dental implant. He then drills a small hole into the gums and inserts the small titanium screw. After this area has healed, typically in a few months, patients return to Dr. Champagne’s office to have an abutment placed over the implant. This abutment essentially serves as the connection between the titanium screw and the final dental restoration. Unlike other dental practices that need to send molds and impressions to a lab in order to complete dental restorations, Dr. Champagne uses same-day dentistry technology including the E4D intraoral scanner and CAD/ CAM technology. Using this equipment, Dr. Champagne is able to quickly and precisely create restorations in-office. Patients are then free to enjoy their new, improved smile. Following dental implants treatment, it is important to maintain positive oral hygiene habits in order to prevent implant failure or the development of other conditions such as periodontal disease. Patients who have dental implants should brush, floss and use mouthwash daily.